Updating a bathroom can be a major undertaking, but the benefits are vast. From creating a calm sanctuary for your morning routine that sets you up for a successful day to adding substantial resale value to your home, a bathroom makeover is well worth the investment. When we purchased a 1960s-era home, we set about converting a garage/laundry room into a master bedroom/master bathroom. 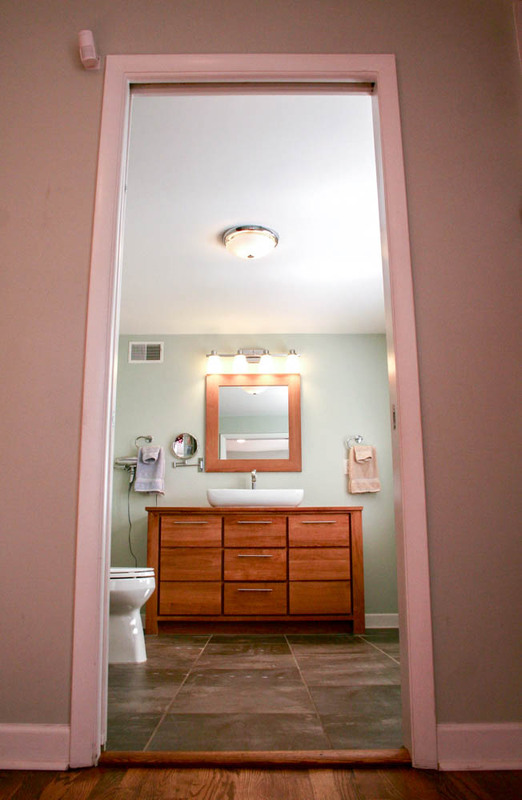 The project entailed significant demolition, construction and extensive plumbing work, resulting in a spacious, functional and attractive master bathroom featuring a tiled, 5-feet by 9-feet walk-in shower and a striking teak vanity complete with an oversized vessel sink. 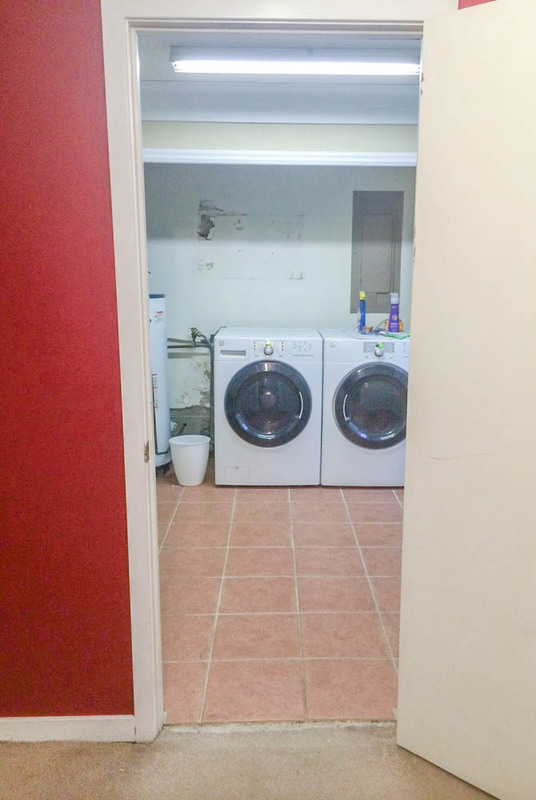 Before: The previous laundry/shower room boasted florescent strip lighting and was accessorized with a large water heater and breaker panel. After: The boiler is gone, replaced by an exterior, on-demand water heater. The breaker panel was reversed and lighting replaced with a decorative bathroom fan. Before: The previous laundry/shower room boasted florescent strip lighting and was accessorized with a large water heater and breaker panel. After: The boiler is gone, replaced by an exterior, on-demand water heater. The breaker panel was reversed and lighting replaced with a decorative bathroom fan and light. 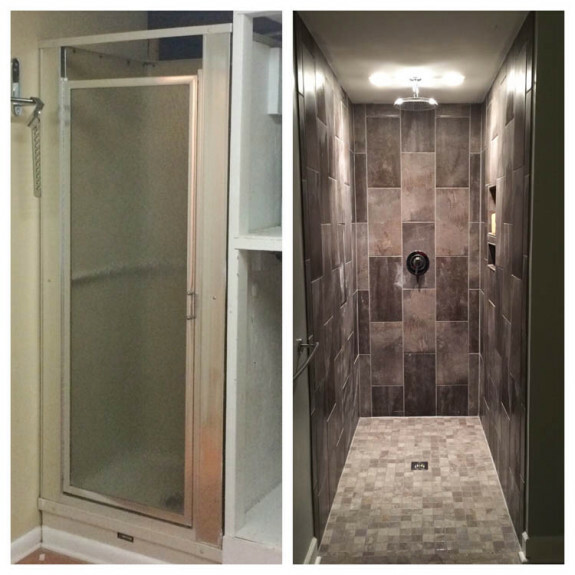 This project was significantly more extensive than your average remodel. We built walls and broke up concrete to put in new plumbing, but the questions that we had to address apply to anyone embarking on a bathroom remodel. When you begin your remodel, you need to think very carefully about the basics: furniture, placement and plumbing. As space is generally at a premium (and even if it’s not, the logistics of plumbing, wiring and windows could limit your imagination), you need to plan carefully and decide whether re-plumbing and re-wiring is in your budget or not. This will determine if you have space for that claw-foot tub or walk-in shower, as well as where you put your vanity and toilet. We started from scratch with our plumbing and wiring, but we had to be judicious because every outlet—electric or water—heightened the overall cost. We opted for a shower over a bath because we have a bath elsewhere in the house. (If you don’t, think carefully before you reject a bath). Even though we had a large, spacious shower, we stuck to one showerhead to keep costs down. Plumbing also restricted where we could place our toilet. It ended up a little more central than we ideally wanted, but in a square bathroom, it’s a little difficult to hide it away. If you have the option, however, I would recommend investing in a small privacy wall. We decided the vanity would be our focal point, as we wanted the bathroom to be minimalist in style, so we wouldn’t have any other furniture. Our color scheme included greys, silvers and wood, with the vanity being the main “wood” feature. We found a beautiful teak vanity and spent hours agonizing over the perfect vessel sink to put on top. We opted for one large sink over two small “his and hers,” as this was our statement piece and we wanted to put all our fixtures budget into one high quality sink and faucet. My husband and I also have very different schedules, so we knew there wouldn’t be much jostling for space in front of the only mirror. In an ideal world, I would have opted for side-by-side lighting for the vanity mirror rather than the down-lighting we ended up with, which is not as good for simulating natural light, as it casts shadows. However, having two outlets on either side of the mirror wasn’t feasible due to the breaker panel that had been in the room prior. Obviously, you can’t have a breaker panel in a bathroom, so we had it reversed, and it now faces into our hallway. It’s still in the wall, though, so we couldn’t put a light fixture in its place. I countered my lighting dilemma with an adjustable makeup mirror that takes advantage of the room’s two large windows to provide ample natural light when needed.